With VM-Series, financial institutions can improve visibility into their applications, segment their workloads, prevent advanced threats, and scale automatically based on demand. The VM-Series virtualized next-generation firewall enables the financial services industry to accelerate the move to AWS by delivering consistent, automated protections through innovative and comprehensive security for applications and data. Palo Alto Networks® complements AWS native security with their security operation platform, which also includes inline, API-based, and host-based components for comprehensive protection. 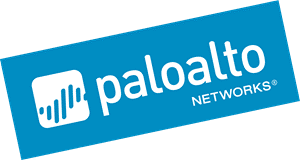 Palo Alto Networks is an APN Competency Partner for Security and Networking Technology. AWS Security Competency Partners deliver VM-Series virtualized next-generation firewall implementations, integrate relevant AWS services, and accelerate the ramp-up of new users. Discover value from this solution by gaining access to AWS credits to support a Proof-of-Concept (POC) and consulting offers from AWS Competency Partners that include AWS co-investments. The VM-Series, virtualized next-generation firewall, is available through the AWS Marketplace or directly from Palo Alto Networks. Advanced security and analytics are available for the VM-Series with Splunk Enterprise.